Many doctors are genuinely puzzled why much of the general public does not trust what they say. For example, there’s the GOOP story. Gwenyth Paltrow sells lots of scientifically iffy wellness products on her website, and there’s many doctors and ‘health professionals’ frothing at the mouth trying to ‘debunk’ her theories. But, in the end, GOOP is selling millions of dollars of product. The public has voted with its money, and it chooses Gwenyth over the doctors. Why? But why? The answer is $$$$. 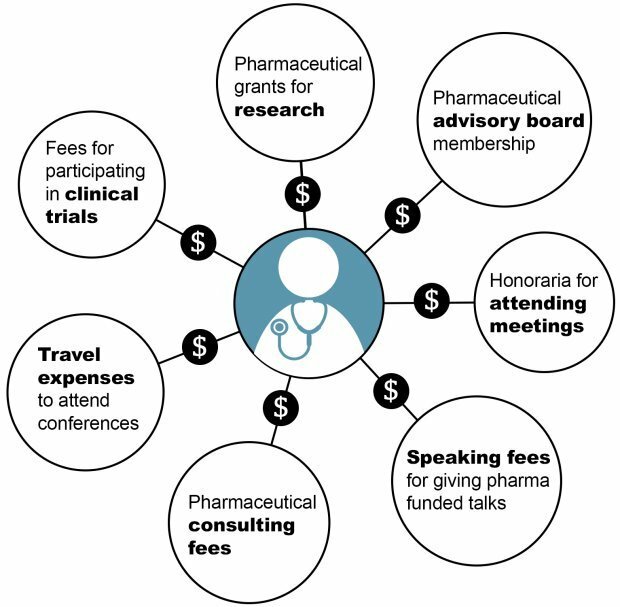 Simply, the public does not trust doctors because they know that many doctors, especially those in academic medicine and the universities are on the take. A terrific study from Dr. Vinay Prasad illustrates the problem precisely. 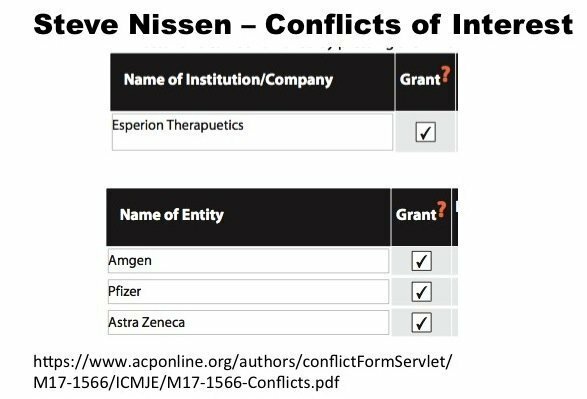 He reviewed 37 ‘expert’ physicians who spoke on behalf of drug companies. 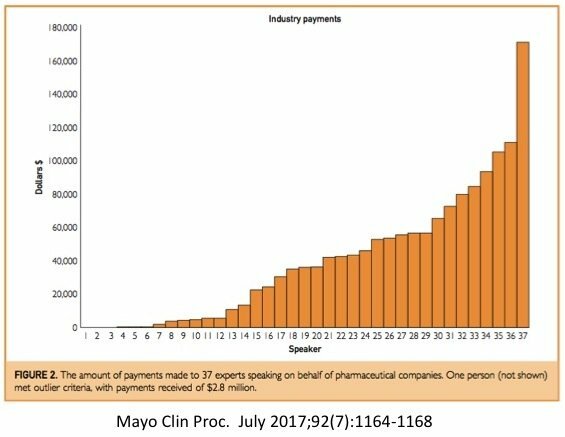 Not surprisingly, they were all getting significant amounts of money from Big Pharma – a median of $39,316. These were not simply run of the mill doctors either. But he’s a doctor, isn’t he? Well, he’s also massively on the take from the Corn Refiners Association. The National Post’s headline says it all “Canadian researcher have received hundreds of thousands from soft-drink makers and the sugar industry“. 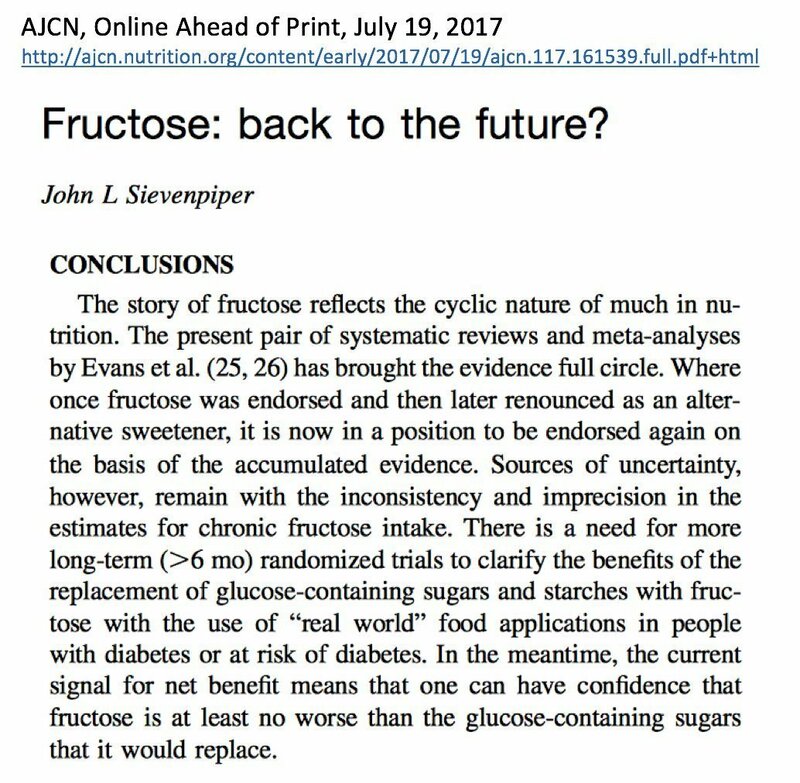 Sievenpiper has written 22 studies or opinions in the last 3 years that, surprise surprise, claim that sugar is not the culprit. So, why is the general public so mistrusting of doctors? Well, the public would have to be crazy to trust us, given the money sloshing around the system. But the fault is our own. A great first step is disclosure, as done in the USA and there is a movement in Canada for this, too. But that’s not enough. The only way to restore trust is to stop all these payments altogether. 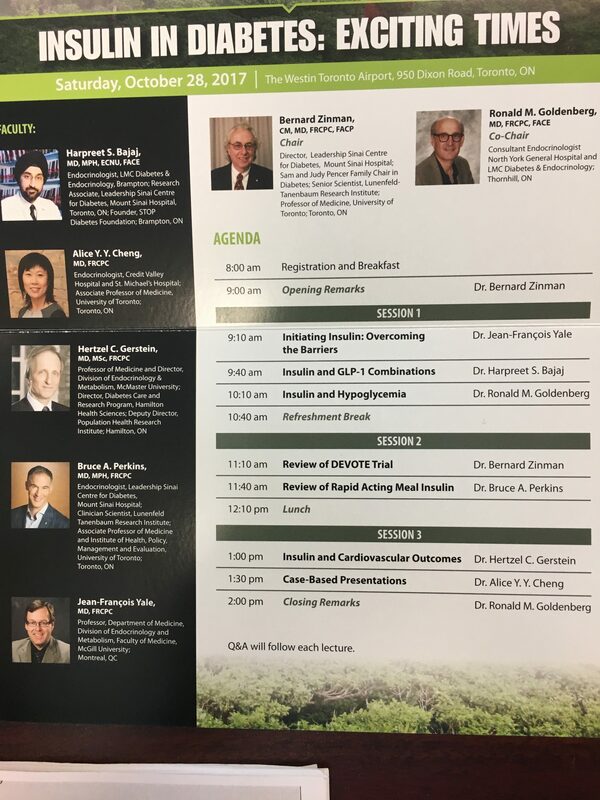 Honestly, is it really too much to ask that the ‘experts’ (American Heart Association, American Diabetes Association, Canadian Cardiovascular Society) that advise the public on the best drugs, the best diets do NOT take money from drug companies? Very brave of you Doctor Fung! But thank God some one is starting to say it! Good on you Roger Bird. It is encouraging to see people not listen to “authoritative” advice that would have destroyed your natural ability to have children. Anyone that I trust there is a reason. We are taught growing up that we trust until that trust is broken and even if that trust is broken by someone like a priest, pastor, doctor, or whatever position man lifts up beyond approach then we give them another chance because now that it is convenient we say, “they are just human”. Subtle abuse and control not gone unchecked leads to much personal calamity. Dr. Fung – a medal for bravery! Speak out, all those of you in the profession who agree with him. I’ll quit or semi retire instead. I’m fighting the forces of money and corporate power, against these forces there will be no victory. Bob, that’s the problem. 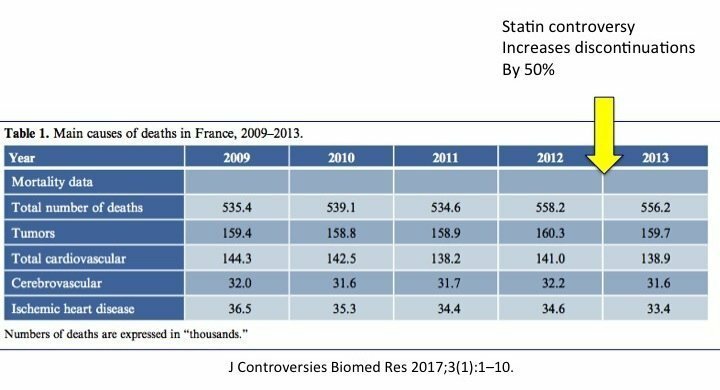 Once you discover how wrong doctors have been on statins, diabetes and diet, and how much harm they’ve done, it destroys trust. What else are they wrong about? I have strong doubts about vaccines because they won’t do easy and obvious trials, or comparisons, on vaccinated and unvaccinated children. I’m interested in why you don’t tell your doctor about your diet? I’m very open with mine and I refuse appointments for the flu vaccine or ‘routine’ checkups with the overweight nurse who will advise me on diet. Then your children and mine would living during the resurgence of polio, whooping cough (had an outbreak recently, small pox, etc. Problem is that autism often presents itself around the same period that the first childhood vaccines are adminstered. I have a son who is on the spectrum and it has been a struggle at times; however; I think his life would be much more difficult and short if he suffered from any of the many diseases that childhood vaccinations that were so prevalent only a couple of generations ago. You’ve been “sold” Mike. The whole vaccine “thing” is a farce. Improved hygiene has saved more lives and prevented more disease than your precious “vaccines” EVER will but hey – they’re “YOUR” children – you just set them up any way you want. Get a grip, Fred. Your post is ridiculous. Idiotic. I honestly don’t know where to start. Just do a bit of online research on, say, smallpox or poliomyelitis or measles. Anything. Ten minutes. Vaccination may be the most important branch of medicine. The biggest saver of lives, with the possible exception of building clean water supplies. 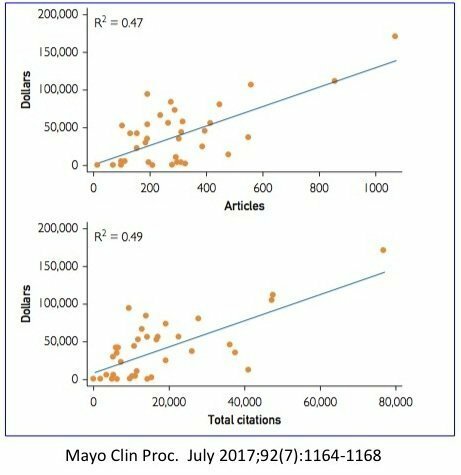 You can’t compare it with the pseuodoscience that dietetics has become, Or the controversy over statins. Done the research and you’re WRONG Martin. NO SUCH THING as “herd” health mate. But hey – go get your “shots” mate – just don’t try forcing me an/or mine to do it. One quibble, that my mom gets me on time after time. FEWER. Not LESS. Peter I could not agree with you more except to say. NOT SO MUCH Not FEWER. That’s just how my brain works. loved it – I am sending to as many people as I can so they can read it – many doctors. Truth! A shamefully rare commodity in the era of big medicine. Appreciate Dr. Fung’s call from the wild. Only works for US physicians but emphasizes the point made. KidPsych, could you point me in the direction of the information about low dose aspirin? I’ve had a couple of benign polyps removed also. So so so true. Thank you for having the courage to use your impeccable credentials to write this to stand up for truth and integrity. I have followed your LCIF diet for 15 months now. You have saved my life. I am fighting DII and have had great success. Weight loss and no more insulin. I can never say thank you enough. There is a place in heaven for brave and good men like you. Unselfish desire to see the best health outcome for the most people. Dr Fung sets the standard for compassion for his fellow man. What a wonderful world it could be were more people like him. The US is 1 of just 2 countries in the world that allows drug companies to advertise to patients. Ever wonder why the commercials say “ask your Dr. about ‘X’ drug”, and tell your Dr. if you have Y, or Z conditions which may interfere with the drugs? ….shouldn’t your Dr. already know if you have those conditions?…. We have an even more bizarre system, where drug commercials are not allowed to say what possible conditions they might address. There is just a lot of happy smiling people running around. With ED drugs they are able to communicate the cure very well, but other ones I have no idea. My psychologist wife who recognizes a lot of the drugs, gets a good laugh at my various guesses. “Go on yersel Big Yin”. Well said, Dr. Fung. I have found a good doctor that I can trust…I urge everyone to do the same. Again you proved me right. We need more doctors willing to say WTF! To be honest I am amazed that the establishment have not yet given Dr Fung the Noakes/Fettke treatment and tried to have him shut down. If not, I’m sure he has that to look forward to. Keep calling it as you see it Dr Fung, for everyone’s sake. What a good article, thanks for that. All this medical brainwashing had began with the Flexner Report and got even worse with the decades, I think that this situation has reached the point of no return. Thanks Jason, keep up the good work. 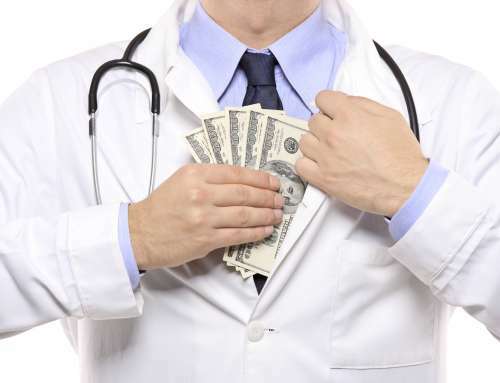 The doctors will stop taking money when the politicians do….never. A very interesting article that reminds me of ‘What the Health”, a similarly sceptical and thought – provoking documentary film on Netflix. I think you mean “What the vegan propaganda” movie? The elephant in the room has been released!!! Well done, fantastic blog!